The LUT Research Series is called Acta Universitatis Lappeenrantaensis which is dedicated to publishing scientific material in the University’s fields of research activities. The author is responsible for the contents of the scientific material published in the Series. Doctoral theses and other scientific documents representing the University’s research activities as well as conference proceedings are published in the Research Series. The research material should, however, reach a high academic standard acceptable also by international scientific journals, but which due to various reasons, e.g. schedule and length limitations, cannot be published internationally. The reviewing process must be described in connection with conference proceedings. The publishing language of the Research Series is English. Publications in some other language can be approved only on well-founded grounds. In that case, the publication should have an abstract in English. 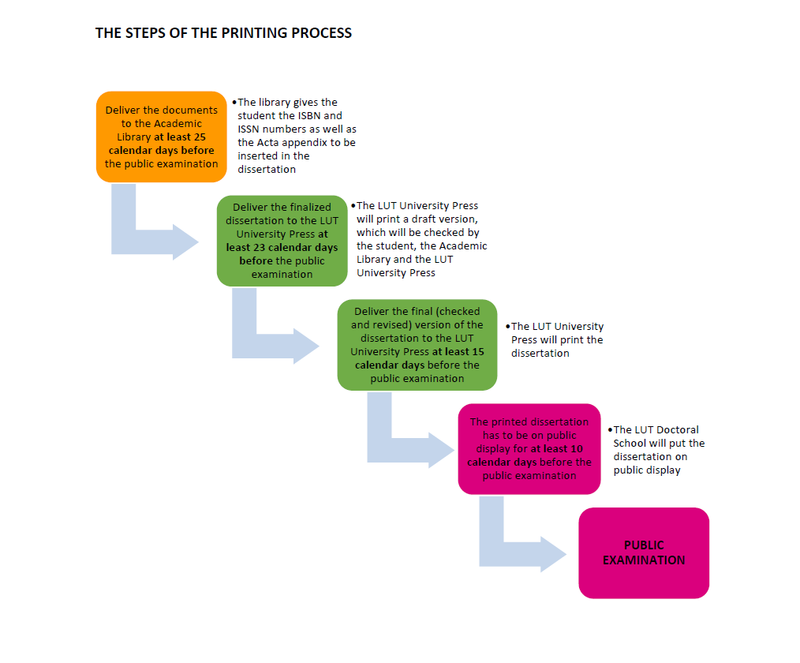 The final, printed version of the dissertation must be on public display in the university for at least 10 calendar days before the public examination. Familiarize yourself with the Academic Library dissertation instructions and documents early enough. Add the above-mentioned numbers and the ACTA Appendix to your dissertation. The library personnel will send the student a copy of the publishing agreement. Please note that it is not the duty of the library to do the language checking of the dissertation.